Rock icon Bamboo and Tattoo Home Broadband give children survivors of Typhoon Yolanda a little something to smile about this holiday season. “BELIEVE: Christmas @ Home with Bamboo,” a special benefit concert that aims to raise more than a thousand toys, will be on December 6 and December 20, 2013 at the Music Museum. With children being the most vulnerable in these trying times, Bamboo together with Tattoo dedicate this musical event to them. Instead of an original private concert and Christmas celebration brought by Tattoo to its customers, the concert will now serve as a vehicle to rally both customers and the brand ambassador’s supporters to participate and donate toys. With the aftermath of Typhoon Yolanda leaving countless families homeless and suffering from loss of loved ones, children serve as a symbol of hope that we can rise again and rebuild our nation. 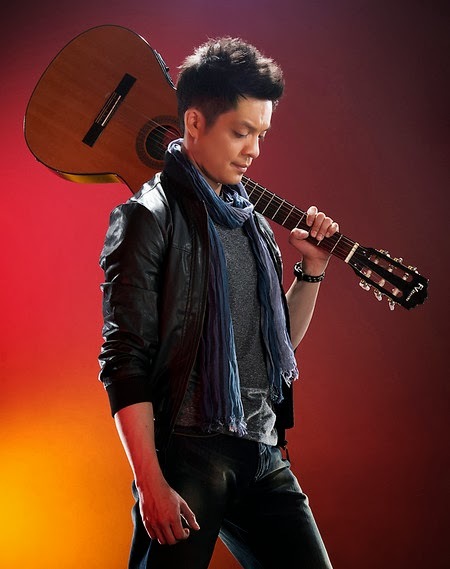 Sing to the tunes of traditional Christmas favorites together with original compositions from Bamboo’s album “No Water No Moon” and iconic rock hits. Offering his unique vocal talents to a good cause, Bamboo will be joined by the show’s musical director Kakoy Legaspi on guitars, Ria Osorio on keyboards/piano, Jun Jun Regalado on drums, Simon Tan on bass and Ardie de Guzman on guitars. This concert is also a part of Bamboo’s response to the survivors of super typhoon 'Yolanda' that ravaged Central Visayas two weeks ago. “I would like to impart my heartfelt support and prayers to our kababayans in the Visayas thru music and thru this concert. Let the spirit still inspire us to help others especially the children, and to believe that there is hope for our country.” Bamboo spoke of helping countrymen who are left homeless and have lost their loved ones. A little effort to bring hope. Tattoo subscribers may go to any TicketWorld branch or visit their website www.ticketworld.com.ph to purchase 1 pair (2 pieces) of children’s toys. A pair of toys is equivalent to one (1) free concert ticket. After selecting the pair of toys, you may choose your seat section corresponding to the chosen pair of toys. The prices for available pairs of toys range from P400 for Balcony seats, P600 for Orchestra side, to P700 for Orchestra center. For online transactions, you will have an option to print your ticket or pick it up from a TicketWorld branch. Believe in better days. For those who simply want to share a simple Christmas message and inspire Yolanda survivors to believe that they can rise from this tragedy, Tattoo will be encouraging their followers to post their greetings through a video on Instagram. Simply follow @ChooseTattoo on Twitter and Instagram and sing any Christmas song and upload a video of it on your Instagram account with the hashtag #UnwrapHope. This video post will be equivalent to a toy that Tattoo will donate on your behalf. And as a special treat, a creative selection of these videos will be compiled and revealed during Bamboo’s concert. All the toys that will be collected will be for the benefit of the children of Tattoo’s adopted Gawad Kalinga Village and surrounding communities in Brgy. Tambulilid, Ormoc, Leyte. The Tattoo Village is part of Globe Telecom’s Bangon Pinoy program, an enterprise-wide disaster response initiative that aims to have a unified system for donations, relief efforts, and corporate social responsibility programs across products and services. It is an integrated program that allows communities devastated by calamities to benefit from various efforts geared towards rebuilding and rehabilitation. It was first introduced by Globe in 2009 after typhoons Ondoy and Pepeng wreaked havoc in the country. The one-hour and a half special marks Bamboo’s first Christmas show in his 9 year-old career and highlights intimate set of instruments like xylophone, trombone, percussion, strings joined by a children’s choir for renditions of classic Christmas carols. Bamboo is now working on his sophomore album, the follow-up to 2011’s “No Water No Moon” released by PolyEast Records. Proceeds from the show “BELIEVE: Christmas @ Home with Bamboo” will support in parttyphoon Yolanda survivors. The concert will be on December 6 and December 20, 2013at the Music Museum presented by Tattoo in cooperation with Lenovo, a production of iCreate Entertainment Solutions Inc.